…is headed your way. Gordon Belt has the details. Sounds pretty cool! As one AHA member observed, is it really possible to make a film about the Civil War era and not mention the word slavery? The Southern Surratt family had been slaveholders before falling into more difficult economic times, but this fact is not alluded to in the film. Instead, Aiken observes that he is as dedicated to his cause (the Union) as Surratt is to her cause. However, the cause to which Surratt has pledged herself and her family is never identified. Thus, it is possible for viewers to provide alternative answers to this question which deny the centrality of the slavery issue to the origins of the Civil War. Those who attended a secessionist ball in Charleston, South Carolina may assert that they are commemorating a commitment to states’ rights rather than celebrating an effort to preserve the institution of slavery. And The Conspirator fails to offer any cinematic challenge to such an assumption. One may view The Conspirator free from the disturbing questions of race and slavery. Perhaps this will make the film appealing to a larger audience, but it will do little to foster popular understanding of the Civil War as we observe the 150th anniversary of that conflict. That’s not to say that the film is inaccurate. In fact, the writer goes on to admit that The Conspirator “includes more accurate historical detail than most Hollywood productions.” Yet some historians are still troubled, because it doesn’t address deeper issues revolving around the causes of the war. So can you make a Civil War movie without dealing with slavery? I’m going to suggest that you can. Still, I don’t think it’s necessary to address the war’s larger causes in every single attempt to tell stories about the Civil War era. This isn’t a movie about the Civil War’s causes, nor even a movie about the Surratt family’s economic background. It’s a movie about the trial of Mary Surratt. We don’t expect historians who write tactical studies of Civil War battles to address slavery’s role in the war. Nor do we expect historians who write books about the very historical themes the film tackles—namely the relationship between military arrests of civilians and constitutional issues—to do so. Why should we expect filmmakers to do it? Apparently we expect it because films are a teachable moment. The movie, we are told, will “do little to foster popular understanding of the Civil War.” But is it really the filmmakers’ job to foster popular understanding of the war’s causes and of the debate over emancipation? I don’t think so. They’ve apparently handled the matter of the Surratt trial in a satisfactory manner, and that’s all they can reasonably be expected to do. Furthermore, it’s worth asking whether most moviegoers are so ignorant of the importance of slavery in the coming of the Civil War that they need this film to tell them. I submit that most people who don’t affirm the critical role of slavery to the war do so not out of simple ignorance, but through a conscious and willing act of denial necessitated by needs that have little to do with a desire to understand history. I doubt that, if the film did put slavery front and center, thousands of audience members would leave the theater muttering to themselves, “Slavery caused the war? Why, I had no idea.” No, most Americans who deny that the peculiar institution brought on the conflict do so despite reams of scholarship and primary material telling them otherwise, so it’s unlikely that a movie is going to change their minds. If historians are concerned about popular understanding of the relationship between the war and slavery—as they certainly should be—then let’s engage this topic in accessible books, exhibits, and documentaries. This is a public history issue, not a Hollywood issue. A Ward Hill Lamon movie? The almost entirely true story of Abraham Lincoln and his self-appointed bodyguard, Marshal Ward Hill Lamon – a banjo-playing Southerner who foiled repeated attempts on the President’s life, and kept him functioning during the darkest hours of the Civil War. This will be the People’s Lincoln movie. If you can put together a 19th Century costume, you can attend the Gettysburg Address. Or become a backer and get your name in the credits. Or design a visual effect, and be part of the creative team. Much more info to come. Hey, I’ve already had a bona fide Lincoln assassination authority endorse me to play Booth. My agent awaits an offer. Incidentally, if you want to see some of Lamon’s personal effects, stop by LMU’s Abraham Lincoln Library and Museum. We’ve got his snuff-box and ashtray on exhibit, along with a gold watch engraved with Lincoln’s picture. Lamon’s daughter donated these items to the university, and they’re a very special part of the collection. Hat tip to Dr. Brooks Simpson on the movie. We’ve reached that point in the term when my classes are studying the Age of Revolutions, specifically the American and French ones. One benefit of trying to teach all of history in one fell swoop is that you get to compare far-flung events with each other. Because they fit together both chronologically and topically, most world history texts treat these two upheavals together. The American Revolution, so we’re told, was a pretty civil affair in which small armies came together to swap volleys from time to time, but otherwise there were no great shake-ups of the sort that happened in Europe, where huge citizen armies raged across the continent and the guillotine did a brisk business. Personally, I’ve always wondered if the American Revolution might have been somewhat closer to its French counterpart than we often assume. During a seminar in grad school, a classmate of mine once raised the question of why there was no reign of terror during the American Revolution. I responded with another question: What about the Loyalists? If you were a Tory militiaman captured by rebel partisans and facing summary execution, or a pro-British property owner who’d just had his property sequestered and been driven out of town, or a royal officeholder about to be tarred and feathered, you probably wouldn’t have agreed that the American Revolution was a cakewalk. The end result of being fitted with a Patriot rope is pretty much the same as getting dragged to the guillotine, as far as the person on the business end is concerned, even if people in the latter category vastly outnumbered the former. Only about ten or fifteen percent of the Tories actually fled the country, and a few of those who did leave ended up returning. This may not sound like the behavior of a persecuted class. 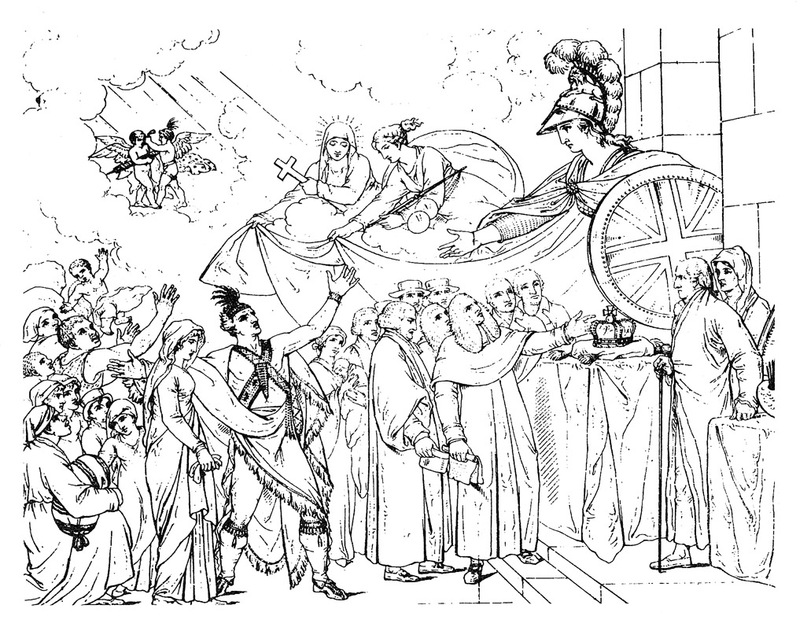 But J. M. Roberts, in a chapter dealing with the two revolutions of the late eighteenth century from his one-volume history of the world, notes that “fewer fled from France during the Revolution than from the American colonies after 1783. A much larger proportion of Americans felt too intimidated or disgusted with their Revolution to live in the United States after independence than the proportion of Frenchmen who could not live in France after the Terror” (pp. 734-35). He also notes that most of those who lost their lives in France did so “in the provinces, often in conditions of civil war and sometimes with arms in their hands” (p. 734). It’s something to think about, at least. I’m not denying that the French Revolution took a more radical and nastier turn than its American counterpart. For one thing, the French Revolution had a class angle; for another, Washington and the other top-tier American leaders fought their war along conventional, disciplined, professional lines. There were doubtless other factors, too many and too complex to be the subject of a blog post, which put the brakes on America’s revolution. Still, I think we should be cautious when we generalize about the tameness of that conflict, because we risk forgetting those rare occasions when the gloves came off—and the Americans who clung to their monarch and found themselves on the wrong end of history. …are colliding in the news. Here’s an update on HistoriQuest, the outfit behind the Civil War Augmented Reality Project, which is a fascinating and worthy undertaking I’ve posted about before. This is one of the most thoughtful and innovative attempts to integrate technology into historical interpretation that I’ve ever seen. Check it out. …did Mary Todd Lincoln look half as attractive as actress Mary Elizabeth Winstead. And yet Winstead will play that role in Abraham Lincoln: Vampire Hunter. 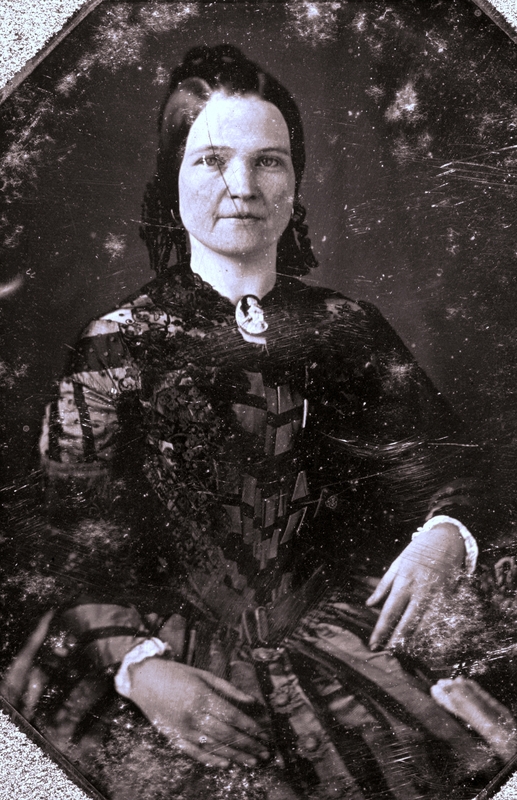 And that’s a young Mary Todd Lincoln. Of course, it doesn’t take a hideous actress to play a convincing MTL; Marjorie Weaver was a hottie, but still managed to make a convincing Mary Todd in John Ford’s Young Mr. Lincoln back in 1939. Mary Tyler Moore played an older Mary opposite Sam Waterston’s Lincoln, and she was quite the looker, too. But this new one is a stretch. There isn’t enough latex in Hollywood to make Winstead as visually unappealing as MTL was by the 1860’s. My suggestion would be to cast a separate Mary to play her in the later stages of life. I suggest Wayne Knight in drag. He could don a hoop skirt and then have a re-match with a venomous dinosaur on the White House grounds. That’s a movie I’d pay to see. …of the uproar surrounding the Civil War Sesquicentennial. It’s not even April yet, and I’m already getting sick of this.